Hello loyal MBN readers! It's that wonderful time of year again to test your college football predictability...ability. Be the envy of all your friends while sporting your new swag from Underground Printing or the Bo Store when you cash in your winnings at the end of the season. No friends? 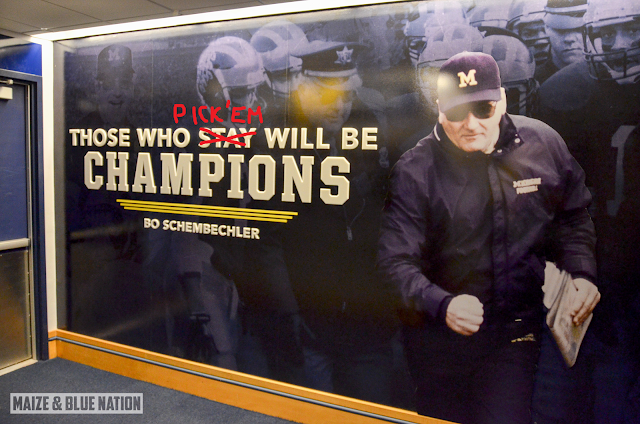 Well, come make some here in our 9th annual Maize & Blue Nation college pickem league! So, how does it work? Simple. Click the link below. Sign into you ESPN Fantasy account (or create one for free). Enter the secret password below for our league...and boom, you're in. Each week for the entire regular season ESPN will give you 10 marquee games to pick from. You pick the winner and rank each game based on confidence. As in year's past, all games are Saturday tilts, plus your pick isn't locked in until each game starts.